In 2014, statistics recorded that more than 80% of the customers in Greece, had done an online research before buying a product (either online or in a physical store). 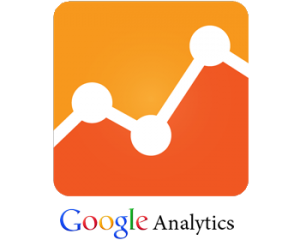 We take over the interconnection of your e-shop with the absolute measurement tool; Google Analytics. Find out which pages of your e-shop have the most visibility, where do your potential customers come from (funnel tracking), see how effectively you utilize your keywords and if the Google Adwords campaign you are currently running has the desired effect on sales. What all lovers of technology are searching today is ‘speed’. Today the ‘fast’ internet is a fact. However, speeds of 12 Mbps, 24Mbps, 50Mbps are meaningless if the speed display of the products and the pages of your web shop is painfully slow. The loading speed of the shop affects not only the sales, but also the scores of the search engines in Google. For these reasons, we give a great emphasis on speed storage and loading, caching (storing pages in cache), so that the mission of the pages of the shop to be rapid. If someone described you an ideal situation in which you would receive daily the orders from your partners without employing staff, would you be satisfied? The usefulness of the business 2 business track of e-commerce has been built in the absence of intermediaries between your company and the companies cooperating with you, thus drastically reducing the cost of sale and increasing your credibility. An important advantage is that the registration of the orders is made by your codes’ database and therefore the probability of error is eliminated, if we also consider that the environment of the transaction is designed in line with the requirements of the particular implementation. If you want your sales network to be dedicated to the promotion – expansion of your customer base and not to the recording of the orders, MainSys b2b solution will cover you completely. The main objective of a successful online store is the customer to be able to add easily products to the cart and complete the order. There shouldn’t be needed a lot of steps between the selection and purchase of a product. And certainly the buying process should not be difficult, because it would prevent the prospective customer to complete the purchase. In MainSys through dozens of usability tests, we have developed procedures to complete the purchase in one page (One Page Checkout) and products purchase procedures without subscription. Register massively products in the E-shop, using the excel file your supplier provides you . Also, if you have data such as customer data, emails, products, etc, we can automatically transfer files from csv, excel, access in a database on the private cloud of MainSys, without the fear of losing any of them. Do you want to provide the most for your customers? In MainSys we have the necessary mechanisms to chat and support you real time. You can always know if a member of our Support Staff is available to start a live session with you and solve all of your problems. We connect the checkout of your online store with the banks Eurobank, Piraeus Bank, Alpha-bank, PayPal. If you work with any other bank or organization, please contact us to discuss the connection with your site. We have made the interconnection of the checkout of your online store with systems of automatic calculation of transport in cooperation with the leading companies in the field, UPS, ACS. If you work with another carrier, please contact us to discuss the connection with your site. We create a separate page “compare product”, with product title, price, description, features, so that the user can easily find the product that fully meets their needs, without having to wander all the pages of your site.